Almost everyone has a red plastic gasoline can in their garage or tool shed. They are ubiquitous and easily purchased at any hardware store. Most people believe that these red plastic cans are a cheap and effective way to store and dispense gasoline. But did you know that these same plastic gas cans can sometimes explode, covering those around them in flaming gasoline? Thousands of adults and children have been burned or killed by exploding plastic gas cans. Why? And, what can you do to prevent this in your own home? The answers are simple. Most of the inexpensive plastic gas cans are missing a simple flame arrestor that would prevent such explosions. A flame arrestor is a small piece of thin wire mesh that is located in the gas can spout. It allows the gasoline to pour out of the can, but also prevents flames or heat from igniting the explosive gasoline vapors inside the can. Explosions typically occur when the vapors inside the gas can come into contact with flames or heat outside the can. A nearby open flame, cigarettes, sparks from appliance motors, or even static electricity can ignite gasoline vapor and cause the gas can to explode. Young children, who are known to play with matches, are particularly vulnerable. Sadly, gasoline can manufacturers have known or should have known about this danger for quite some time. Professional or commercial grade gas cans have contained flame arrestors for over 100 years. Flame arrestors cost less than one dollar and are commonly used on water heaters, bottles of charcoal lighter fluid, and even bottles of Bacardi 151 rum. In addition, professional or commercial grade gas cans are equipped with spring-activated caps that close automatically and prevent vapors from escaping. Such cans are also typically made out of metal and have a round base which makes them less prone to tip over when being transported or bumped into. The best way to protect yourself and your family from the dangers associated with dangerous plastic gas cans is to replace them with a professional or commercial grade gas can. These can be easily purchased online at retailers such as Amazon.com and at traditional hardware stores such as Lowes and Home Depot. Although, they are more expensive than plastic gas cans, the safety features that the metal cans include are worth it. Look for metal gasoline cans that are Underwriters Laboratories (“UL”) approved and check to see that they have a spring loaded cap and a flame arrester. It is also important to store, carry, and use gasoline safely. It is extremely dangerous to leave a gasoline can in the trunk of your car. If the trunk heats up from the sun, vapors inside the gas can expand and the increasing pressure will allow the vapors to escape. As the vapors accumulate, an explosion could result. Also, it is critically important that caution is used whenever gasoline is used. It should never be used to start a fire such as a burn pile or camp fire. Many explosions occur when people are pouring gasoline onto a burning fire. Gasoline should also not be used as a cleaning solvent or to kill weeds. Gasoline was created for one purpose only, to power gasoline-powered engines. Gasoline should also be kept away from children who are too young to understand the dangers associated with it. Children playing around cheap gasoline containers can easily tip them over allowing the gasoline to get near an ignition source. The American Academy of Pediatricians estimates that over 40,000 emergency room visits by children occur each year as a result of gasoline-related exposure or injuries. If you or someone you know has been burned or killed by an exploding gas can, call The Allen Law Firm. 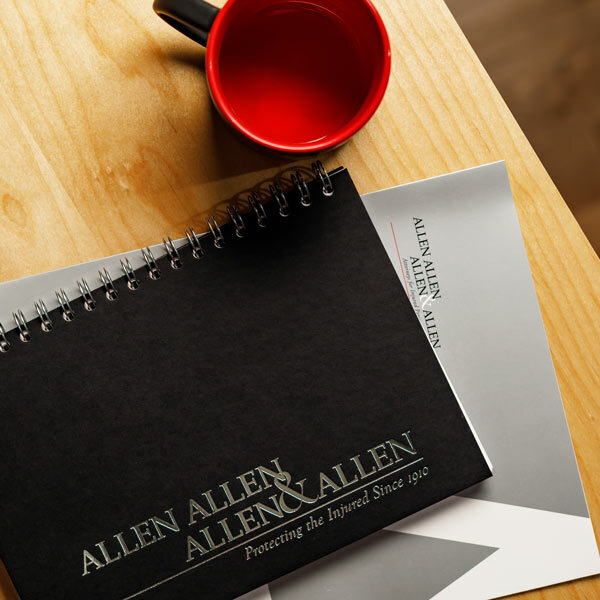 The personal injury attorneys at Allen, Allen, Allen & Allen have the experience and resources to properly investigate all types of burn injury cases. About the Author: Jason Konvicka is a partner and personal injury trial attorney in the Richmond, Virginia office of Allen, Allen, Allen & Allen. He is a founding member of the firm’s medical malpractice team but his practice also includes serious and complex injury case involving brain injury, truck accidents, burn victims, bus accidents and wrongful death. He is also experienced in handling defective product cases and defective drug cases.